For over 65 years, the Yaman Family has been involved with every aspect of Residential, Commercial and Industrial Real Estate Development. This broad range of experience has added successful and exciting new developments to the landscape of central New York. We will undertake development projects on a consulting fee basis, or in exchange for percentage of ownership. Located at the corner of NYS Route 13 and Luker Road, Cortland, this facility is the home for Aspen Dental, Verizon Wireless, Cortland ENT, Cortland Nails and McDonald’s Restaurant. It is located at the highest retail traffic location in the County. The 440,000 s/f former Smith Corona facility was acquired with a few tenants occupying a small portion of the building. 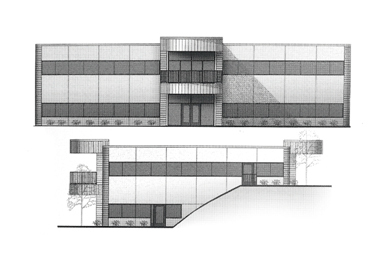 In a short period of time, 96% of the space was leased to 14 industrial occupants. Improvements to the facility included a $1.2 million dollar renovation to 44,000 s/f office complex, upgrades to the exterior, new roofs, interior upgrades for industrial activities, and a four-bay loading dock. A state-of-the-art 13,000 s.f. office building designed with a clean-room for a high-tech chip design company served as the anchor for this 11 lot office park in Homer, NY. Recognizing the limited scope of existing zoning districts, David Yaman helped write new regulations to allow for the development of high-tech and dot-com businesses. As a preferred developer for CVS Pharmacies, the partnerships formed by David Yaman have produced the new free standing prototypes with drive-up windows. These facilities are located in Binghamton, Ithaca and Cortland with new sites being located in other areas in Central and Southern Tier, N.Y.
Cortlandville Associates acquired Cortlandville Mall in the fall of 1989 with Chappell’s, K-Mart and Citizens Savings Bank as anchors. As a partner in Cortlandville Associates and developer for the investment group, David Yaman Realty Services converted the 206,000 square foot interior mall to a retail power strip center and brought into the complex J.C. Penney, Radio Shack, Payless Shoes, Sally Beauty, Dollar Depot, and CT Farm & Country, and built an addition to house Fashion Bug. Now complete, Cortlandville Crossing has over 240,000 square feet of retail space. Adjacent land owned by the partnership was sold to Walmart for an in-line store. 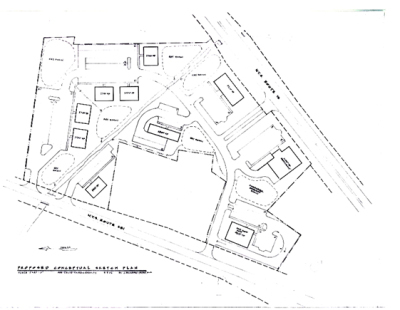 WALDEN OAKS GOLF COURSE AND RESIDENTIAL COMMUNITY, CORTLAND, N.Y.
A 270 acre parcel located in the Town of Cortlandville was purchased in January of 1990 by Cortlandville Associates. 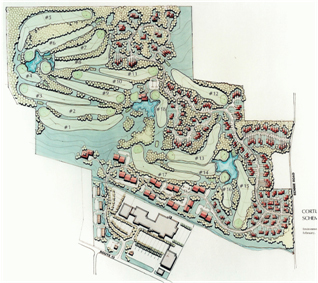 David Yaman Realty Services designed an 18 hole golf course surrounded by a 260 unit mixed residential community, and obtained a planned unit development approval from the Town. A limited partnership was formed to develop and own the golf course and shares were successfully sold. After construction of the necessary infrastructure: roads, sewer, water and electric, all residential lots were sold to Barden Homes Corporation of Homer, N.Y. David Yaman received a great deal of support and praise from local environmental groups for sensitivity to the important issues surrounding the impact of this project on the environment. Barden & Robeson Corporation, the eighth largest manufacturer of pre-engineered homes in the United States, and David Yaman Realty Services formalized a partnership to develop housing in the central New York area. The first project undertaken was the Village Park Condominiums, a 44 unit complex of town house, duplex and garden style homes. David Yaman negotiated the purchase of the property, saw to its re-zoning as a PUD, designed the buildings and site plan, and sold the homes. The project was forecasted to sell out over a four year period. Due to market acceptance and flexibility of the building and product mix, the turn around time was decreased by six months. At about the same time the Village Park Condominiums were being planned, the Barden/Yaman partnership acquired land in the UDC community of Radisson, N.Y. 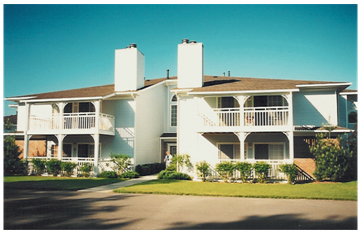 This was a 64 unit garden style condominium project. Sales occurred at the projected three-year period. Recognizing the charm of the community of Homer, N.Y. (Just south of Syracuse N.Y.) the Barden/Yaman partnership acquired approximately five acres of land in the Village of Homer and designed six lots on a cul-de-sac. The land was acquired in June of 1990 and most of the lots were sold out in the spring of 1992. Wherever feasible, the land use philosophy of David Yaman is the variation of density principle, providing intelligent use of open space while maintaining sensitivity to environmental issues. 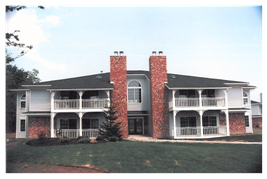 Quail Ridge was developed by David Yaman Realty Services in 1989. 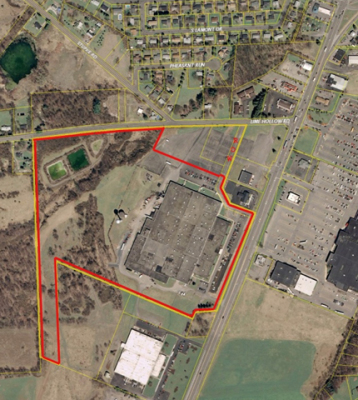 Approximately 90 acres adjacent to the City of Cortland was acquired, and 11 lots ranging from 2 acres to 10 acres were designed on a cul-de-sac with particular sensitivity to open space. All lots were sold for construction of $250,000 average homes. Recognizing the demand for affordable housing in the Cortland County market, and the need for a greater variety of investments in the Barden/Yaman partnership, David Yaman Realty Services developed a two phase subdivision under the New York State Housing Finance Agencys program. Phase I, started in the spring of 1990 and sold out by the fall of 1991, entailed the construction and sale of 17 homes; phase II, started in the spring of 1993, included 31 homes. Working with the City of Cortland, The Affordable Housing Corporation of the State of New York, and SONYMA, David Yaman Realty Services put together the program that provided $20,000 grants for each home with competitive financing in place for each qualified purchaser. In a limited office market, flexibility was the key to the success of this six unit office complex designed to be leased or sold as the market dictated. All six units were built within a two year period with two units owned by the occupants and four units retained by David Yaman Realty Services as a long-term investment. As the consultant and agent for the owners, converted the 33,000 s.f. former Tops Supermarket facility located adjacent to the City of Cortland to five commercial spaces. David Yaman Realty Services design the retrofit plans, marketed and leased the Center with long-term leases. Tenants include a Save-A-Lot Supermarket, Sherwin-Williams Paints and Peter Harris Clothing, and Resnicks Mattress. With road frontage on Routes 281 and 13, 9 lots have been assembled one parcel, and 5 lots assembled in another, both located in the Town of Cortlandville. As consultant to the developer and broker for the owners, David Yaman Realty Services has worked with United Group, Inc. to develop a 800 bed student housing facility, a 20,000 s/f retail store for CountryMax Stores, a Dunkin Donuts facility. Representing an investment group, David Yaman advised the Fastenal Corporation to identify a suitable location, generated a build-to-suit lease arrangement, obtained site plan approval from the Town of Cortlandville, arranged a construction agreement and oversaw the construction of the project.